A little different to the average, this black brown derby lace up shoe has a panel of dark brown which lifts the black leather. 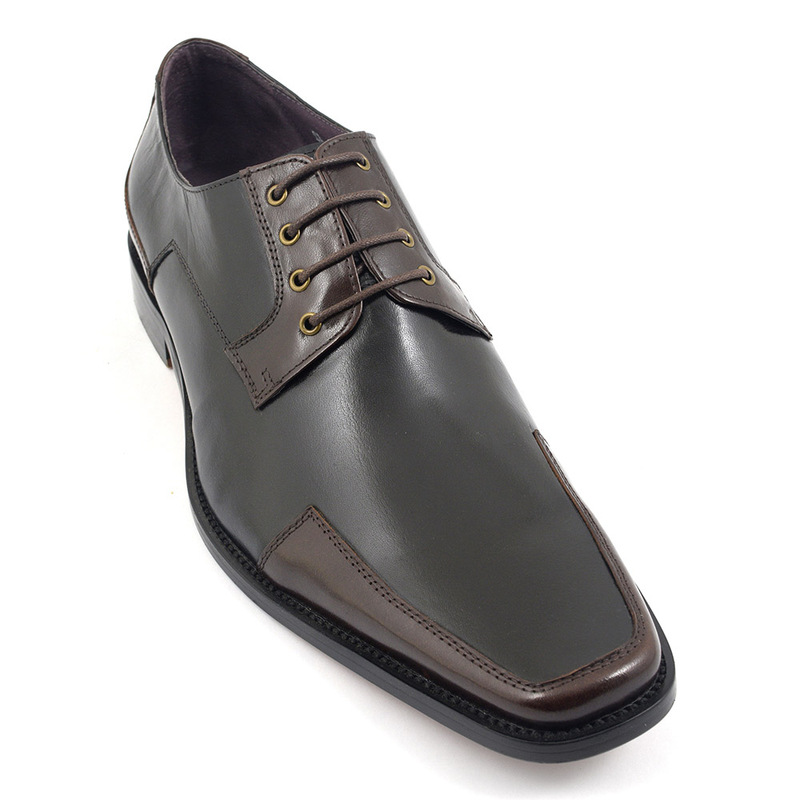 So there are derby shoes and there are these black brown derby shoes. 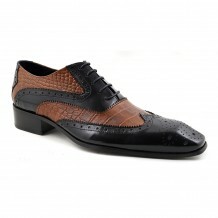 The designer touches really do make these lace up mens shoes a sight to behold. Subtle but different, they show you are an original man but serious enough too. You could easily wear these with a suit to work and give that ever important business impression. Equally you could dress down in a pair of jeans and give a casual but “I’ve made an effort” feel. However you wear these, we know you will look the part! 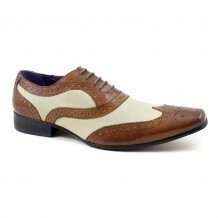 So where do derby shoes originate? Would you believe it to be the Earl of Derby (14th) who had portly feet and asked his shoemaker to create a pair of shoes he could get on and off easily! And so the open lace system was created. This meant that flaps of leather had eyelets sewn into them making a wider opening for those incumbents of bigger feet! Soon this trend took off and many country folk began to wear these. 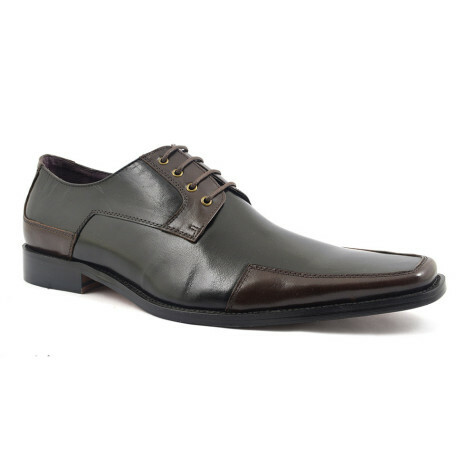 Over the years of course, derby shoes have traversed the world of business and are quite rightly considered formal enough to wear in a serious world. 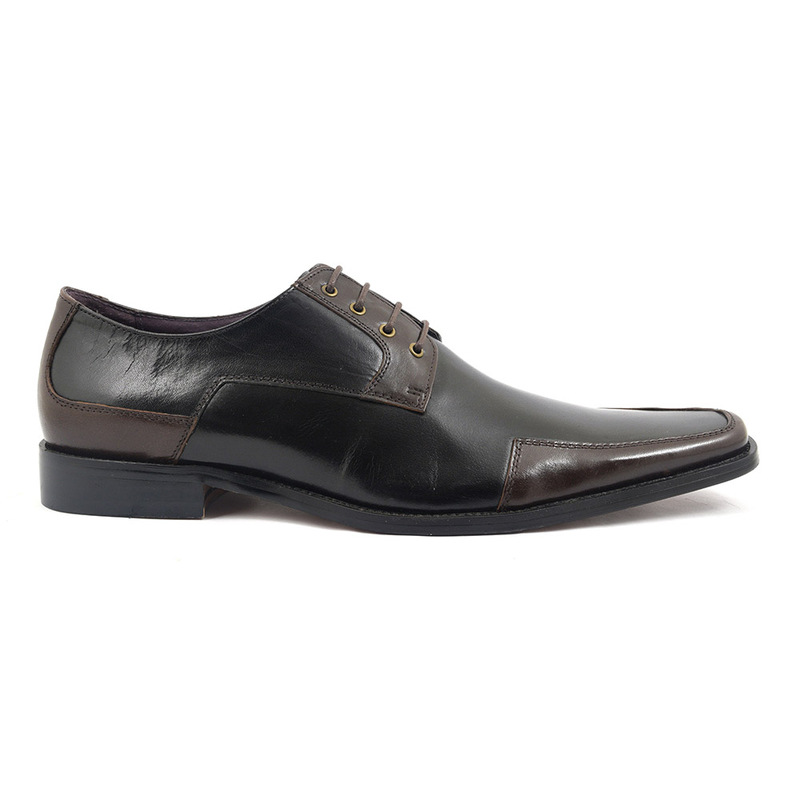 The beauty of these black brown derby shoes is that they have a fun element so you can take it one step further in a serious world and have a bit of fun with your shoes! 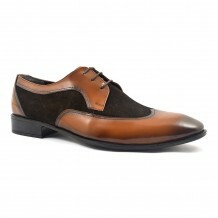 Be the first to review “Ludus Black Brown Derby” Click here to cancel reply.